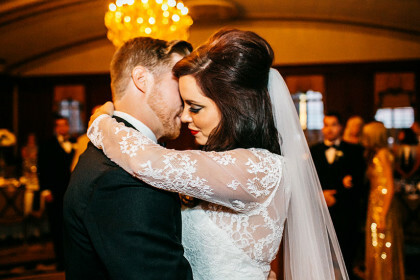 Rebecca and Mitch met five years ago at the hospital where he worked while she was in nursing school. 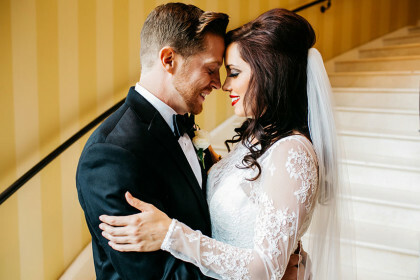 By the time she graduated, they had a profound love for one another. 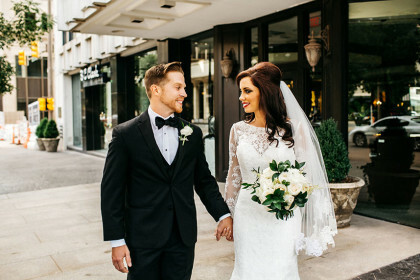 When Mitch graduated from anesthesia school, he knew he needed her beside him forever. 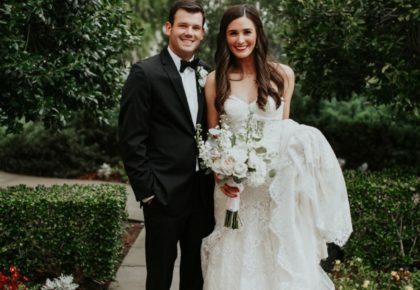 The day of their engagement was Rebecca’s thirtieth birthday and Mitch had organized a surprise hot air balloon ride that evening. 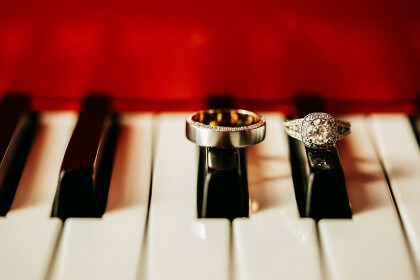 The weather was perfect and he proposed with a gorgeous ring amongst the clouds! 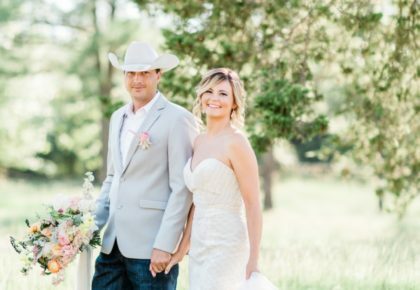 The couple set the date for September 12, 2015. 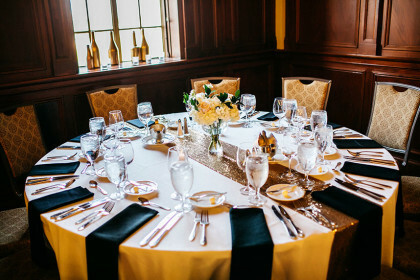 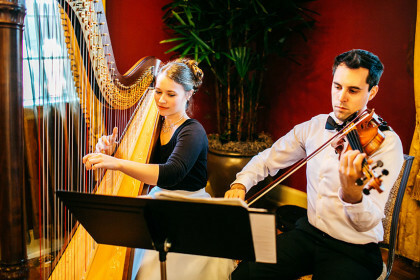 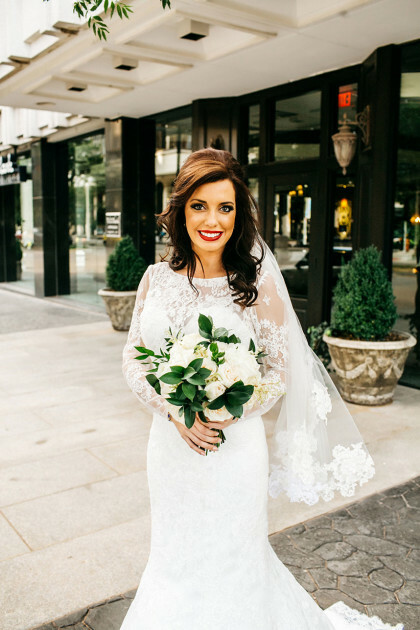 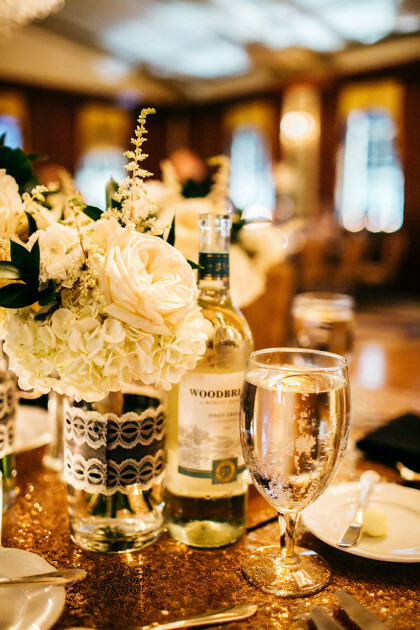 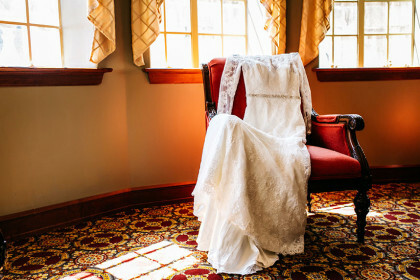 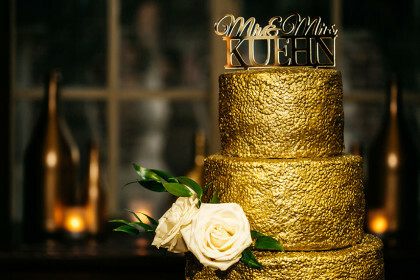 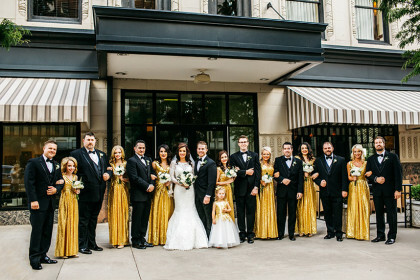 Rebecca wanted a glamorous affair and only one location would do – the Skirvin Hilton. 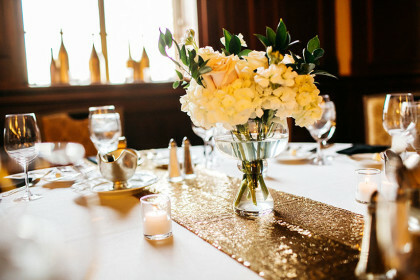 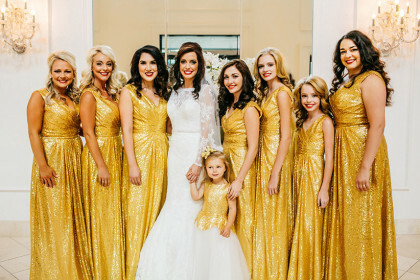 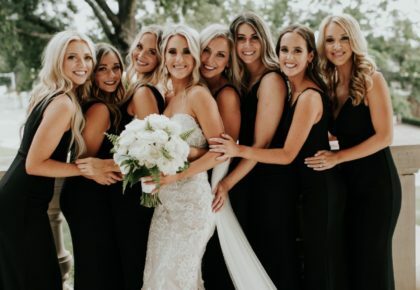 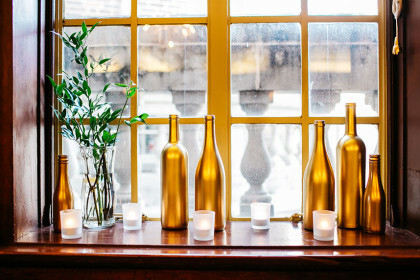 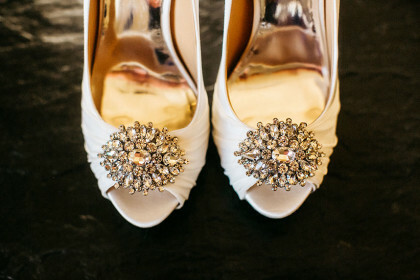 She chose custom floor-length gold sequin dresses for her seven bridesmaids, which set the tone for the whole wedding. 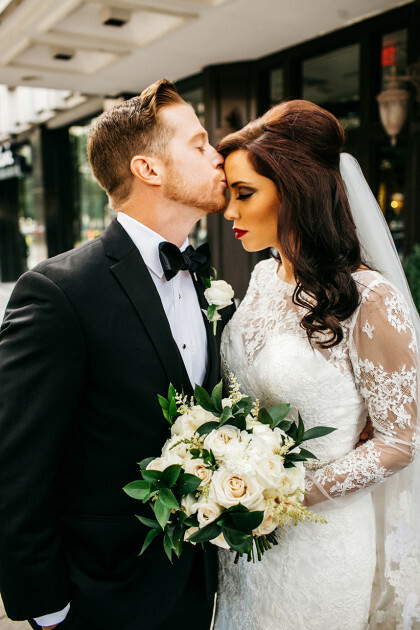 Rebecca wore a classic lace Allure wedding gown with full sleeves and an illusion back. 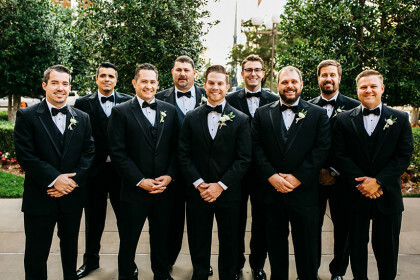 Mitch chose a dapper black Vera Wang tuxedo with a bowtie. 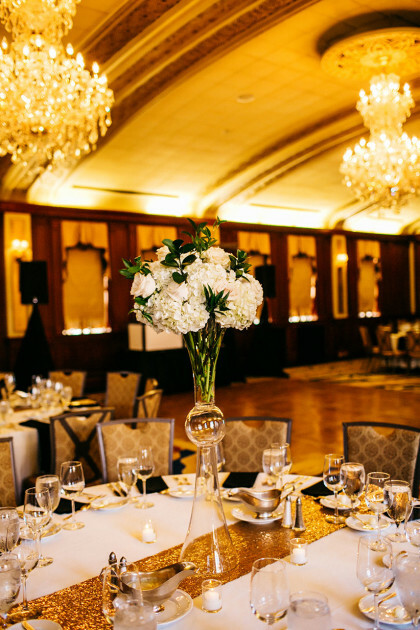 Emerson Events created elegant arrangements of garden roses, Italian ruscus and white ranunculus for the occasion. 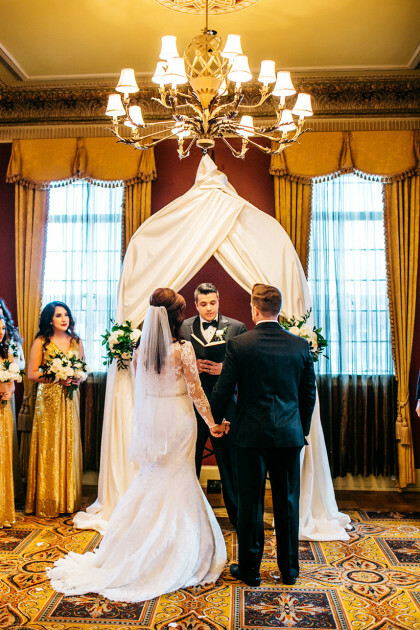 The ceremony was stunning and intimate as the groom’s best friend officiated the ceremony, all of their siblings were in the wedding party, and Rebecca’s boss walked her down the aisle. 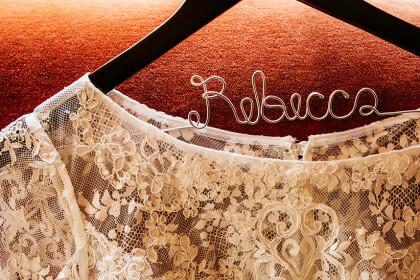 It was also important to the couple to include Rebecca’s daughters as much as possible. 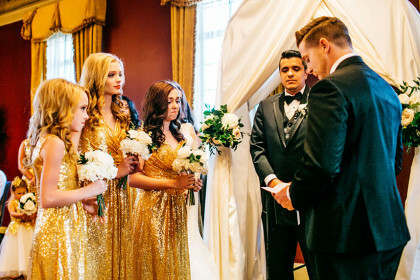 Mitch declared beautiful vows to the girls and their mother. 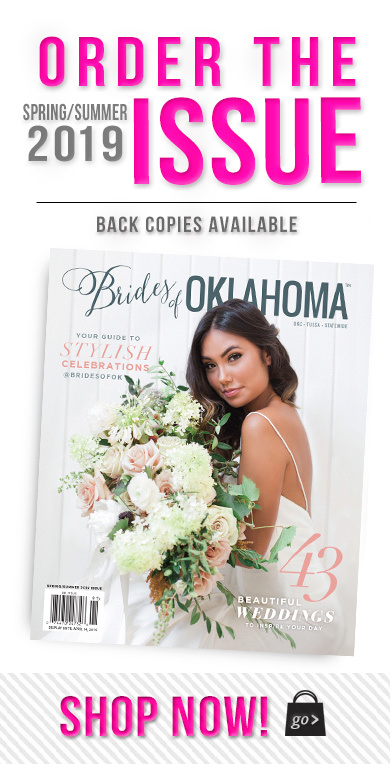 At the reception, the couple had a romantic first dance followed by Mitch and the girls dancing to “The Way You Look Tonight.” Once the cake cutting and toasts were done, the newlyweds surprised their daughters and guests with Rumble from the Oklahoma City Thunder! 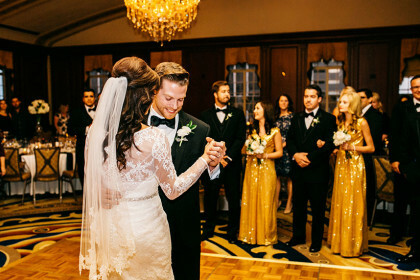 The excited crowd danced and took photos with the beloved mascot. 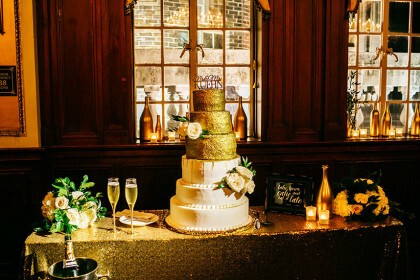 With chocolate martinis and Old Fashioned cocktails flowing, the wedding party and guests danced until morning. 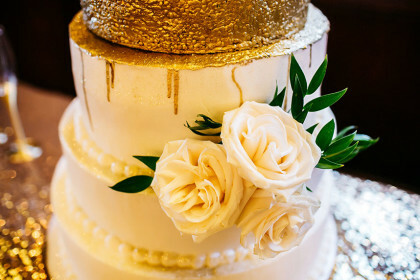 The newlyweds honeymooned for nine amazing days in Puerto Morelos, Mexico.